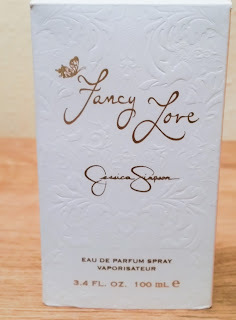 I have heard a lot of great reviews about Jessica Simpson's scents, which made me want to see if they were really true or not? I have been a fan of her music since her debut when she broke out on the scene with that powerful voice showcased on "i wanna love you forever". I was intrigued to find out what her scents would be like but living in the UK they haven't been available like other pop divas scents. There only just starting to appear for some reason on websites, that the scent is available here in the UK. "of that timeless feeling of being in love". You will find this being true as this loving scent is exceptional in its own right. with added aromas of Pink Champagne. Creamy Amber and Blond Wood. The packaging is an innocent white box with indented pattern adorning all around it. 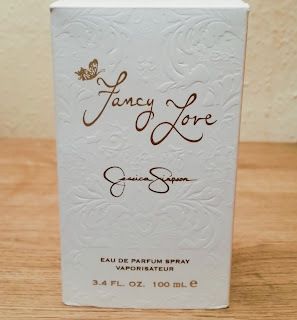 Gold writing also gives this packaging a nice touch with Fancy Love being in gold with also Jessica's name. The bottle is really unique in way that its different from my other bottles in my collection. Fancy Love's bottle is a milky white flacon with a golden stopper that adds character and class, but keeping it simple. This bottle would look good on anyone's dresser or where ever you keep your scents. The scent is different to all my others in my collection but this is a good thing! 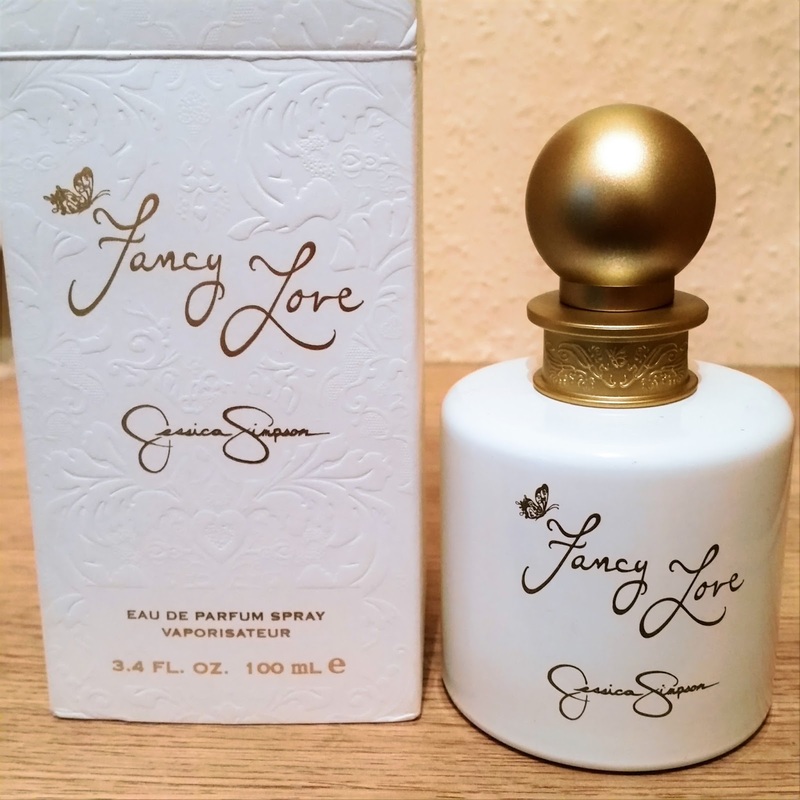 Don't you just love buying a scent and realising it smells the same as another one in your collection but it just has a different name on it..... not!! The sprayer head gives out a good dose of this lovely scent on its first spray. 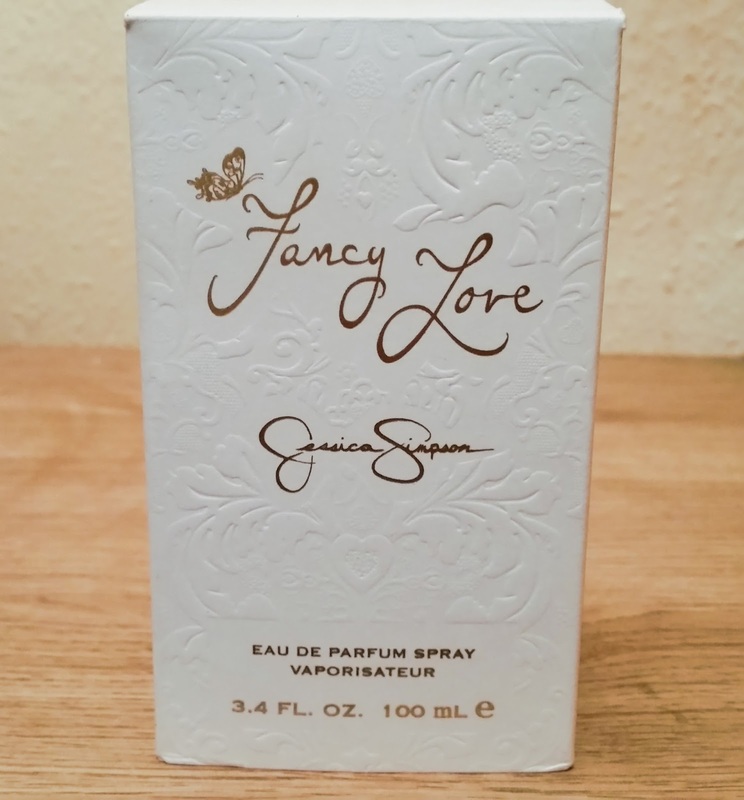 On first spray this is very light and inviting and will get you smelling your wrist with the bergamot and peach mixing with the pink champagne. After Ten minutes and through dry down this scent changes into a seductive scent with the middle notes working so well together. Finally its journey gives you a creamy-milky peach-amber scent that is sophisticated and unique with added benefits from the musk and patchouli. This isn't a sweet sugar bomb and isn't a fruit bomb either, this is a unique floral scent without you smelling like a bouquet of flowers. 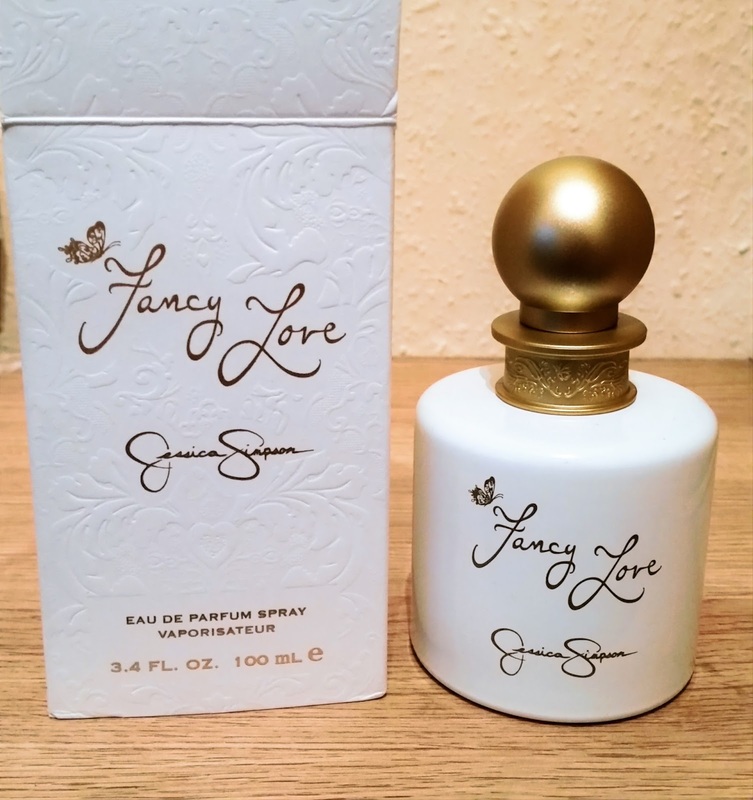 Fancy Love is soft, creamy and comforting which captures everything about Love! Longevity is excellent and lasts all day and would suit any occasion and any season of weather. Fancy Love is definitely a worthy buy because its unoffensive, unexpected and unique and best of all, one for your collection! Have you tried any Jessica Simpson scents?